The maximum temperature will settle at 24 degree Celsius while the minimum temperature will settle at 12 degree Celsius. New Delhi: Winters in Delhi-NCR region is far from being over as thunderstorm accompanied with hailstorm at isolated places is expected in the coming days. 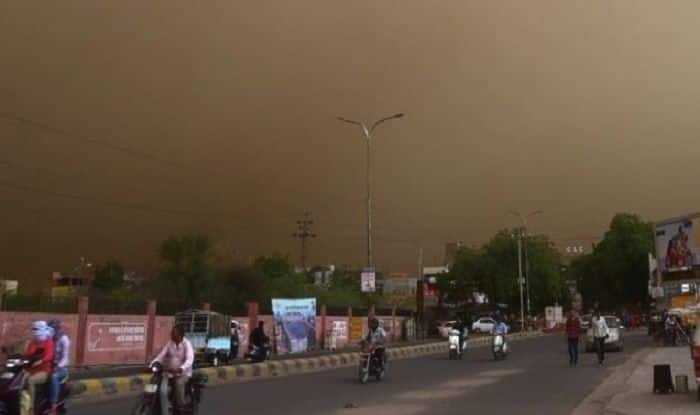 Moderate to heavy rains, accompanied by gusty winds are expected to hit Delhi due to a prevailing western disturbance over entire northwest India, as per Indian Meteorological Department (IMD). Meanwhile, Jammu division of Jammu and Kashmir, Himachal Pradesh, Uttarakhand, Punjab, Haryana, Chandigarh, north Rajasthan and Uttar Pradesh will receive hailstorm on February 6, Wednesday. The maximum temperature will settle at 24 degree Celsius while the minimum temperature will settle at 12 degree Celsius. On Monday, the maximum and minimum temperatures had settled at 23.2 and 8 degrees Celsius respectively. Strong wind speed reaching 40-50 kmph is likely to occur over the North Arabian Sea. Also, fishermen are advised not to venture into this area. Generally, a cloudy sky will prevail on Wednesday. The maximum and minimum temperatures across Delhi and national capital region (NCR) are likely to hover around 19 to 12 degrees Celsius respectively till February 7. It must be noted that Uttarakhand has received the highest snowfall this year in five years while Jammu and Kashmir witnessed a 77 per cent rise in rainfall this winter. The Met department in Shimla has issued a warning for heavy snow and rainfall in the state on Wednesday and Friday. It also added that Chamba, Kullu, Shimla, Kinnaur, Lahaul and Spiti are likely to receive heavy snowfall on February 6, followed by rainfall and hailstorm on February 7.